Isaiah 26:3 (King James Version). In other words, God will keep you and me in “perfect peace”—not just peace alone—if we keep our minds focused on God, and trust in God. [W]alk by faith, not by sight. 2 Corinthians 5:7 (King James Version). It was cited in a message that I read one day, which I have read almost every day since. As a child, I needed someone to steady my bicycle when I first learned to ride on two wheels. As a teen, I had a parent or teacher in the car beside me as I learned to drive. In each case, there came a time when I had to let go of the need for support and put my faith in my own abilities. Now when I have a decision to make or feel that I am being called in a particular direction, I might seek the advice of friends, family, or a professional, but I know that my strength comes in putting my faith in God within and trusting the guidance I receive through prayer. As I pray, I let go of any doubt or fear or any thought of unworthiness, and I place my trust in God. Each step I take is a step in faith, for even though I may not know what the outcome will be, I know without a doubt that God is with me and all is in divine order. I walk by faith with my heart open to the fullness of God’s love, and I receive the promise of unlimited possibilities and the assurance that every situation in my life will work out. The highest and best blessings are unfolding for my loved ones and me. I surrender to God’s love and walk by faith. God is as close to you and me as our next thought or breath. God is present in a child’s laughter, and the rustling of leaves on a tree, and a bird in flight, and the love expressed by one human being or animal to another. What is God? Infinite Intelligence, and Love. Where is God? Here, there, and everywhere. Once prior to that experience, and again many years later, I survived an auto accident that might have killed me, and I did not fall from the side of a mountain when I was hiking and had very precarious footing, which might have killed me too. This entry was for the “20th Day of Lent,” March 15, 2007, which appeared on page 33 of a booklet entitled, “Enter the Garden: Spiritual Preparation for Easter 2007,” which was published by Unity (see www.unity.org). Also, it worth remembering that all life is a miracle; and why be afraid of tomorrow when today is all we have. Rabbi Harold S. Kushner wrote a book many years ago entitled, “When Bad Things Happen to Good People.” My distillation of what he said is that more often than not the bad things that happen are a result of man’s inhumanity to his fellow man. But where was God in the midst of the most horrific events imaginable, such as wars and the like? Why didn’t God prevent them? God gave man free will, for good or evil. God was present, providing meaning to events that seem so random and unfathomable and hurtful at the time, and giving us the courage to go on, as Rabbi Kushner has written. We do not fail God, nor does God punish us—or so I believe. And yes, God blesses each of us in very different and special ways. The fingerprints of no human being are the same as those of another; and so too, our paths to God are unique and very personal. No one has all the answers, or is even close. There is no “magic” way to follow the yellow brick road. And yes, some things—like the loss of a child, the onset of a catastrophic illness, or being shot and disfigured—can never be explained or understood fully. They leave gaping holes in one’s heart and belief system. It is so easy to blame God, or to believe that God has deserted us or is punishing us when bad things happen. If you have not read Rabbi Kushner’s book, I urge you to do so. I bought it and set it aside for several years, and did not read it until I was ready to do so. She is a very special human being, who is cherished. May God continue to bless her during the next 25 years and beyond. The Wall Street Journal has published a rambling book excerpt by Cambridge professor Stephen Hawking and Caltech physicist Leonard Mlodinow entitled, “Why God Did Not Create the Universe.” This is nonsense. Even Einstein believed in a higher power . . . and Hawking is no Einstein—or Newton or Aristotle. It is tragic what has happened to Hawking physically, but as he approaches the end of his life, it is no time to blame God for his infirmities. He should be reveling in the wonder and splendor of God’s works, not denying them. Men (and women) are not “the lords of creation,” as Hawking and Mlodinow would have us believe. Hawking is like the emperor in Hans Christian Andersen’s fable, “The Emperor’s New Clothes.” Everyone was afraid to challenge him until one little child said at last: “But he has nothing on at all.” Sadly, the same is true of Hawking’s latest fanciful observations. Yet, nowhere in the article do Hawking and Mlodinow deny that God exists. Hawking and Mlodinow are like two atheists baying at the moon. In a world beset by wars, economic tsunamis, and other calamities that destroy the human spirit, this rescue effort is truly a breath of fresh air. God did not create the miner’s problems, but it is truly a miracle that they survived and were rescued! [W]hen the drill broke through, the men ‘danced around the tunnel like crazy things’. In the wake of the tragic shootings in Tucson, which killed six people and injured 13, media attention has turned to Congresswoman Gabrielle Giffords, and her seemingly-miraculous recovery. USA Today has an article about Army Captain Patrick Horan and his wife, Patty; and his road to recovery after suffering brain damage similar to that of Giffords, having been accidentally shot by an Iraqi soldier in July 2007. The article is worth reading. My mother was sick and in a wheelchair, and almost died when I was a kid. Yet, she recovered after having her right leg amputated, and went on to live a full life. Indeed, she and my father are my only heroes in Life. I suspect that Patrick and Patty will be heroes too—to lots of people whom they do not know—just like a lovely woman named Cynthia is a hero as well. A new Rasmussen Reports national telephone survey of American Adults shows that only 13% of Adults do not share that belief. . . .
Women tend to believe more strongly than men in all cases. As in past years, Evangelical Christians believe more strongly in the divinity and resurrection of Christ than other Christians do. Among Evangelicals, 100% believe Christ was the son of God, and 98% believe he was resurrected from the dead. Eighty-six percent (86%) of other Protestants and 87% of Catholics believe Jesus is the son of God who came to Earth to die for our sins. Eighty-four percent (84%) of Catholics believe Jesus rose from the dead, as do 82% of non-Evangelical Protestant adults. Those who attend religious services more regularly feel stronger about the divinity of Christ and His resurrection than those who attend less often. Regardless of one’s religious beliefs—or if there are none—I believe each of us is a child of God. [I]t worth remembering that all life is a miracle; and why be afraid of tomorrow when today is all we have. Thank you for the information and your opinion. Quite meaningful and nice to read on this Holy Saturday. He shall wipe every tear from their eyes, and there shall be no more death or mourning, crying out in pain, for the former world has passed away. With a ten per cent chance of survival, he needed a miracle—and that’s exactly what God gave him. Jacob Berger, from Indiana, was diagnosed in 2002 with stage four cancer that was spreading from the upper part of his throat to his brain. With the size of the tumour, doctors said the chances of him being alive in three or four years was ten per cent. Berger is now cancer free after, he said, God spoke to him and told him to stop his treatment. He did, and he attributes that message to his life and says he is living proof that beating cancer sometimes takes more than medicine. Not only that, but when he was undergoing aggressive chemotherapy and radiation to shrink his tumour, he became sterile. Or so he thought. He now has two children and another on the way. Speaking to ABC, he said: ‘I woke up in the middle of the night and felt like God told me to stop taking the treatments, and told me it was over now. He listened to the divine advice and when he went for his next MRI, he learned his cancer was gone. Although he believes divine intervention worked for him, he would never recommend that anyone stop their treatments. He told ABC: ‘I’ve personally ministered to people with cancer and told them don’t refuse what doctors are saying, don’t just be ignorant and not go to the doctor. Dr Renato LaRocca, Boger’s doctor and director of the Kentuckiana Cancer Institute in Louisville, Kentucky, said the odds were against Mr Boger’s surviving. He said that while his four treatments played a part in his recovery, he can’t explain why Mr Boger is still cancer-free nine years later. But Mr Berger is defiant. I know miracles happen, and that turning to God in prayer works, because it has happened to me more than once. For example, in anticipation of a painful divorce and the prospect of not being with my two kids full time whom I loved deeply, I developed unbelievable anxiety attacks and thought that I was losing my mind. My doctor prescribed Valium, which I took until it was “doping” me up, and then I stopped. I had no idea that they were addictive too. One day driving home from work, I got a sense that I must turn my life over to God, and I did; and that made all of the difference. It is difficult for me to reply to this one. Without a doubt when stricken with a major crisis in our lives, many of us turn to God. Perhaps He has been with us always in every aspect of our lives, but when the “big ball drops”, we CLING to Him. He embraces us and holds us in the “Palm of His hand.” He does not judge our past, but rather welcomes us and of course never wants to lose us either. Science and Faith abide with each other, but that is not what is professed in a secular society. As I read about this man’s life and and what he did, I cannot in good conscience suggest others do the same. I have never directly had a call from our Lord saying “Mary do this or do that, or this is what will happen in your life because I have directed it to be so.” Never have I been instructed as this man has to not do something. 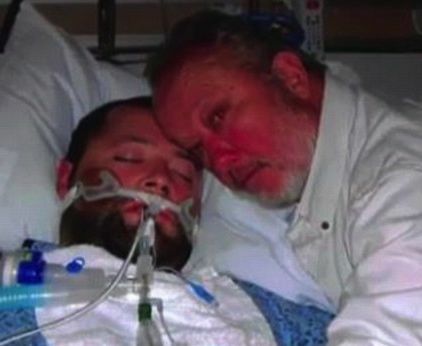 He believed, and it appears he received instructions not to continue chemo, which we know is often used to prevent cancer from spreading and killing the recipient. It goes against medical intervention and healing in today’s cancer remedies. Why this man even had children when on all accounts he should have been sterile. I don’t have answers, nor does he (the man written about), nor does the medical profession in this situation. I do have faith though. So did this man. But I would do everything medically possible to help someone get well for I believe through my faith journey that in this time of medical advances, our Lord would expect me to use all the expertise man has accomplished to help “make me well.” In our country we have the best means of doing so, and we are called upon, or so I believe to use those sources throughout life. Other countries don’t have the resources we do in all medical advances. We must use our talents for that is what is expected of us…………………and that means helping others get well. Thank you, Mary, for sharing your thoughts . . . and especially your thoughts about Jerry. Thank you for sharing your writing. There is a wonderful book called The Hiding Place about two sisters in a concentration camp. They smuggled a bible into camp, and held bible studies with the other inmates. In giving thanks one sister thanked God even for the flea investation. It turned out the guards wouldn’t go into their bunks because of the fleas. Thank you, Katherine, for your comments. Yes, indeed, God works in often “mysterious” ways. Recently I attended a Memorial Service honoring a friend of mine’s father. My friend does have faith, but needs many prayers to help through this difficult time. You see, he has lost his mother, brother, sister, sister-in-law and father in the past two years, and is the only person remaining in the core family. At fifty eight years old, he finds himself without a family. This is a tough time for him. While knowing all of his losses, I couldn’t help thinking of those who lost their families during the Holocaust, so I have gained from your writing Katherine. I’m praying my friend will not give up nor forget that our Lord is always there helping him, even when he doesn’t understand why all his family members were taken suddenly and quickly. Please pray for him. None of the rest of us are. A number of years ago, I had a law clerk who worked for me while he was a student at UCLA’s law school in Los Angeles. 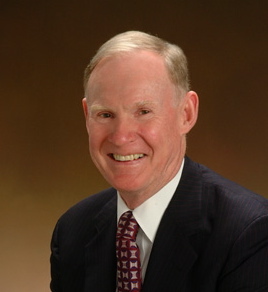 He was excellent, and ferreted out solutions to legal issues that none of my other talented law clerks could; and he remains a dear friend and someone whom I trust completely to this day. Before he entered law school, he received his engineering degree, and had been an engineer in Saudi Arabia. One day when I was “hyper-critical,” and being a consummate perfectionist, I “climbed all over him,” verbally, for a relatively-minor mistake in a legal brief that he had drafted for me. He stopped me mid-sentence, and asked if I knew how the Oriental rugs were made that are sold in Saudi Arabia, and I said “no.” He answered that they were made by hand or by machines; and that a mistake is made in each and every one of them, intentionally. He asked if I knew why this was so; and of course I had no earthly idea why. He said that those who make the rugs believe that only Allah, or God, is perfect. Indeed, he added that the Arab, Persian, or more generally, Islamic rug makers will always put a small flaw in their work, often in a corner. Other craftsmen will do the same in their trades (e.g., a mason making a wall will put a slight flaw in an out-of-the way portion of the wall). This is to show humility before God, his own maker, and the Master Craftsman of all Master Craftsmen. I have remembered what he told me ever since that day; and each time that I have gotten angry or impatient with myself for some mistake or shortcoming, or with others, I try to remember what he said. Only God is perfect; none of the rest of us are. In June of 2017, I was diagnosed with stage 3 colorectal cancer. The cancer had reached such an advanced stage, the Veteran’s Administration Hospital attempted to admit me for immediate treatment. I was also told sometime later that surgery would be imperative. I refused. In July of 2017, I started writing a journal concerning my understanding of what I believed colon cancer is. Here’s my first entry: “Although a little late, I just purchased some Kiwi Fruit, oranges and blueberries hoping to keep my body as clean and detoxed as possible. I know its too late now, but maybe I can slow-down the spread. Don’t know how this is going to work out, but I hope to keep a daily record of what my body is experiencing day-by-day”. From that time until the present, God has guided and led me in everything I need to survive this journey. Being a Veteran and waiting for treatment and medication to be authorized, can be at times excruciating painful, both physically and emotionally. Therefore, I decided to put all my trust and faith in the Hands Of The Only One True Living God. I really can’t explain what has happened, but right now I’m doing very well! Furthermore, after over a year of being disabled, I have actually been able to return to work. I have always had faith in God and Our Lord And Savior Jesus Christ, but this experience has catapulting my faith far beyond anything I could ever imagined or dreamed. I intend to continue responding to this blog, updating my condition to anyone interested or concerned about my progress. My writing skills are not great; if I fail in communicating my thoughts, please do not hesitate to let me know. God gave us life and free will. Also forgiveness, which we ALL need. Mary, I have offered prayers for your friend. It seems to me often God will let us experience troubles in order for us to learn how to help another person. When my son was an infant, he was ill. The only way to give him medicine was drop by drop inside his cheek. Many years later as my father lay dying, I was the only one of my brothers or sister who knew how to give him the medicine to ease his passing. Thank you, Katherine, for your prayers on behalf of my friend. I believe prayer is powerful in many ways. My friend shared this with me, so I will with you. He talked with his doctor, telling him he could not stop crying. The doctor said, now you are supposed to cry, let the tears come. After my friend told me this, I asked if he remembered that the priest read the passage that had the words, “the Lord is close to the broken-hearted.” He said “thanks, Mary, for telling me that because I don’t recall all that was said at the funeral service. Your remembering those words helps me right now.” I truly believe He is closest to us when we are in the most pain or suffering. It seems you do too. How wonderful it came full circle for you to minister to your father that which you had done for your sick infant. No matter the age, God surely plays His role in our lives. May your father be happy in heaven. UK’s Daily Mail has a wonderful article about young Ryan Marquiss of Pennsylvania and his family, and how they have persevered. The photo above is of his sister and him. He was born with his heart outside of his body, and only half a heart. Yet, doctors at the Children’s National Medical Center in Washington, D.C. never gave up; and Ryan and his parents never did either. Please read the story. It is a miracle—and testimony to faith, and never giving up. Stephanie Decker, 36, lost one leg above the knee and the other above the ankle, yet her son and daughter escaped without a single scratch after the tornado flattened their Henryville, Indiana home. 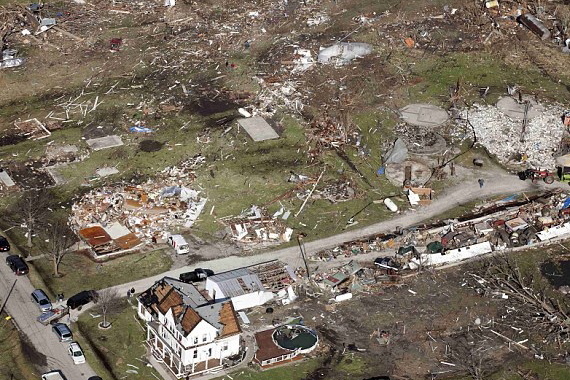 Henryville was nearly entirely flattened by a series of tornadoes that ravaged the South and Midwest on Friday, killing 39 and leaving thousands homeless. But while the Decker family lost their ‘dream home’ to the severe weather, they are celebrating their safety. Mrs Decker is now in a stable condition at University Hospital in Louisville, her husband said. Decker told the paper that he had texted his wife from his workplace to tell her a tornado was heading for their three-story home. She rushed their eight-year-old son Dominic and five-year-old daughter Reese into the basement, where she lay across them to protect them from the storm. Speaking to the Courier Journal outside his destroyed home, Mr Decker said his wife, who is using a ventilator tube, typed out what had happened by using an iPad in the hospital. She said she saw part of the house collapse on her and pulled her daughter out of the way. ‘She doesn’t remember anything after that,’ Mr Decker said. Dominic then alerted the neighbours who came to find Mrs Decker, even though many of their homes had been crushed to the ground. One neighbour, Brian Lovins, a Clark County Sheriff’s officer, used a tourniquet to stop severe bleeding and drove her until he could flag down an ambulance, which took her to hospital. The home, which was partly built by Mr Decker and his wife’s father, is now completely destroyed, with a bathtub 200 feet away in a nearby field, the Courier Journal reported. The house ‘took about nine months to build and about four seconds’ to fall, Mr Decker added. Writing on Facebook on Sunday night, Mr Decker said the ventilator has been removed and his wife is now breathing on her own and will undergo further surgery this week. So tragic, yet what an heroic woman. May God bless her and her family forever! A ‘stillborn’ baby was found alive in a drawer in a hospital morgue by her distressed mother 12 hours after the girl was declared dead, it emerged today. Analia Bouter was 26 weeks pregnant when she gave birth to her fifth child prematurely at a hospital in Resistencia, in Argentina’s northern Chaco province. But after medical staff told her that the infant was born with no vital signs, her distraught parents went home with a death certificate. Twelve hours later Analia and her husband decided to go to see their baby’s body, which was being kept in a refrigerated drawer at the Perrando hospital morgue. She said she ‘stepped back and fell to my knees’ after she ‘saw her stretching,’ the mother added. Mrs Bouter said that her pregnancy was normal until she suddenly went into early labour on April 3. She said: ‘At first the doctors said that she was born dead, then said she had died shortly after birth because she was too small to survive. And she said that her daughter is ‘getting stronger by the minute’. The parents, who were going to call their daughter Luciana Abigail, said she will now be baptised Luz Milagros, which means Light Miracles. Can you define an “Evangelical Christian” from just the run of [the] mill “Christian”? The reason I ask is that I’ve seen so many different definitions that I want to know YOUR definition so I can see where you are coming from. I answered that the question was a good one; and I set forth what I believe are some of the characteristics that seem to apply to “Evangelical Christians,” recognizing of course that one size does not fit all. In making these comments, it is not my intent to belittle them or make light of their beliefs. It is wonderful that they believe in what they do. I find the notion of someone trying to force his or her views on someone else—much less a person’s religious beliefs—to be repugnant. Years ago, I had essentially a “near-death” experience, similar to what others have described, during which I experienced God. For a long time after it, I seldom if ever talked about it to anyone, because it was very personal—and it changed my life in many ways. I did not write about it until I encountered so many Americans and people of other countries who genuinely did not believe in God or that God exists, and who were searching for some answers and meaning in their lives, and something to hold onto in troubled times. In the only article that I have written on the subject, which appears above, I do not try to convert anyone, or to hold myself out as a superior being—and others as lesser beings. The article was written so that “non-believers” in God might at least keep an open mind to the idea that there is a God after all, or some Higher Power than all of us. Third, there seems to be a mixing of politics and religion, certainly in the United States. I believe strongly in the separation of church and state. Fourth, in making the comments that I do here, I would be remiss if I did not add that I believe strongly in the idea of freedom of religion, which undergirds our great country’s strength. America is the world’s only true melting pot. With religious freedoms comes the freedom to believe or not, and then to choose what to believe. Most if not all of us are on a life-long individual path or journey to “belief,” and no other person is on that path with us. At the very least, it is a fascinating path to be on. I have friends who are Christians of many different denominations, Jews, and other faiths; and I believe it is wonderful that they believe in anything. I am genuinely pleased about their beliefs, but generally keep my beliefs to myself. I certainly do not try to “convert” any of them. Awesome…I missed all of this on your blog. I knew God linked me here for a purpose! May God keep you strong Mr Naegele. He has work for you to do yet! And God has work for you too. When Life Seems Difficult And The Rains Keep Falling . . .
About 100 feet down, on the bottom of the Atlantic Ocean, divers had already pulled four bodies out of the sunken tugboat. Then a hand appeared on a TV screen monitoring the recovery. —was posted on the Internet more than six months after the rescue and has gone viral this week. The full video of the rescue was released by DCN Diving after a request from The Associated Press. Initially, a shorter version of the rescue emerged on the Internet. The authenticity of the video was confirmed through conversations with DCN employees in the Netherlands. 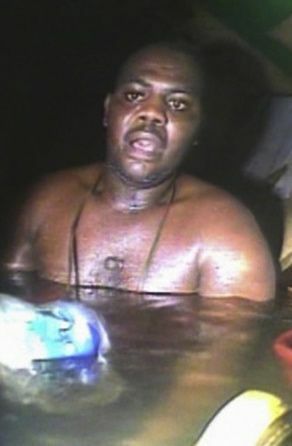 The video showing Okene was also consistent with additional photos of him on the rescue ship. The AP also contacted Okene, who confirmed the events. “I was dazed and everywhere was dark as I was thrown from one end of the small cubicle to another,” Okene said in an interview with Nigeria’s Nation newspaper after his rescue. He groped his way out of the toilet and tried to find a vent, propping doors open as he moved. He discovered some tools and a life vest with two flashlights, which he stuffed into his shorts. When he found a cabin of the sunken vessel that felt safe, he began the long wait, getting colder and colder as he played back a mental tape of his life—remembering his mother, his friends, but mostly his wife of five years, with whom he hadn’t yet fathered a child. He worried about his colleagues—the Ukrainian captain and 10 Nigerians, including four young cadets from Nigeria’s Maritime Academy. They would have locked themselves into their cabins, standard procedure in an area stalked by pirates. 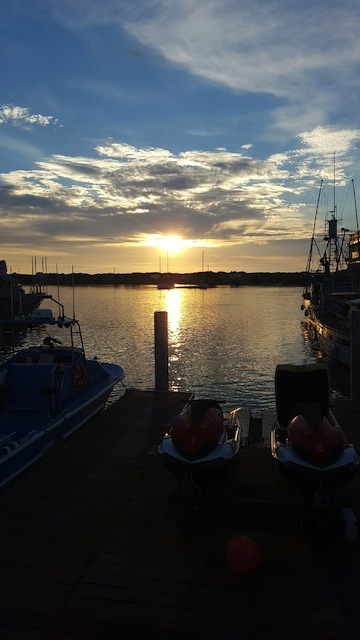 He got really worried when he heard a loud sound in the water outside—sharks or barracuda, he supposed—fighting over something big. He survived on a single bottle of Coke. Okene really thought he was going to die, he said, when he heard the sound of a boat engine and an anchor dropping, but failed to get the attention of its crew. He figured, given the size of the sunken tugboat, that it would take a miracle for anyone to locate him. So he waded across the cabin, stripped the wall down to its steel body and banged on it with a hammer. But “I heard them moving away. They were far away from where I was,” he said. By the time the divers found him, relatives already had been told there were no survivors. Using hot water to warm him up, the rescue crew attached Okene to an oxygen mask. He was put into a decompression chamber and then safely returned to the surface. Before the slow ascent began, a voice on the video could be heard asking Okene to give a thumbs up if he understood what was about to happen. Slowly he raised his hand and stuck out his thumb. A 13-year-old girl who died following a battle with a rare bone cancer left a heart-rending secret message hidden on the back of her mirror. Athena Orchard tragically died last Wednesday after losing her fight with the terminal disease. But just days after her death, Athena’s father Dean discovered a heartfelt note written in marker pen on the back of his daughter’s bedroom mirror. The message was written after Athena was diagnosed with cancer—which she discovered after finding a tiny lump on her head in December last year. Before she died, she penned the lengthy message which remained undiscovered until days after her death. In her note, Athena talks about the disease which would later take her life, writing: ‘Every day is special, so make the most of it. Last Christmas, Athena collapsed at home and the family began to fear there was something seriously wrong with her health. She was diagnosed with bone cancer osteosarcoma and, in the following months, underwent intense chemotherapy to treat the disease in her spine, her left shoulder and her head. She had to have a seven-and-a-half-hour operation to remove the tumour on her spine and wore a wig to cover her hair-loss. Despite the difficulties, Athena’s note showed an unshakably positive outlook on life. Mr Orchard, 33, said: ‘It was a stand-up mirror in her room, and it was always lent up against the wall so we never saw behind it. ‘She never mentioned it, but it’s the kind of thing she’d do. She was a very spiritual person, she’d go on about stuff that I could never understand—she was so clever. ‘When I moved the mirror after she died I couldn’t believe it, I saw all this writing, it must have been about 3,000 words. Athena’s mum Caroline, 37, said: ‘We knew that Athena loved to write, that was part of who she was, it made her happy. ‘When we read the message it blew us away, Dean started to try and read it but then he just broke out in tears—when it got to the part about her illness, he couldn’t finish. ‘She was an incredible girl, so bright and so strong, she continually amazed me. ‘She was always positive, even when she was in the hospital she would be looking after me, making sure I ate and telling me not to cry. ‘We knew the cancer was very aggressive, the doctors had never seen anything like it. She fought it as long as she could but eventually she became too weak to get out of bed. ‘She was so beautiful and athletic, she loved boxing, it was horrible to watch her become gradually weaker. ‘We’re keeping the mirror forever, it is a part of her we can keep in the house, it will always be in her room. ‘Just reading her words felt like she was still here with us, she had such an incredible spirit. Happiness depends upon ourselves. Maybe it’s not about the happy ending, maybe it’s about the story. You have heard what I’ve done, but not what I’ve been through. Love is like glass, looks so lovely but it’s easy to shatter. If someone loves you, then they wouldn’t let you slip away no matter how hard the situation is. Remember that life is full of ups and downs. Love is not about how much you say I love you—it’s about how much you can prove it’s true. Love is like the wind, you can feel it but you can’t see it. I’m waiting to fall in love with someone I can open my heart to. Love is not about who you can see spending your future with, it’s about who you can’t see spending your life without. . . . Life is a game for everyone but love is the prize. Only I can judge me. This is my life, not yours, don’t worry about what I do. People gonna hate you, rate you, break you, but how strong you stand, that’s what makes you . . . you! There’s no need to cry because I know you’ll be by my side. 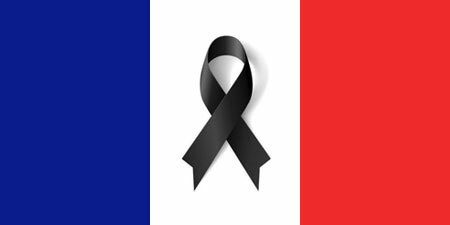 [G]unmen killed 12 people in the assault on the Paris offices of Charlie Hebdo, a magazine targeted in the past for cartoons that some Muslims found offensive. 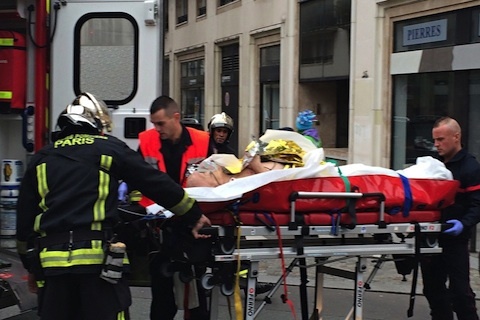 Muslim leaders strongly condemned the deadly attack on offices of a French satirical magazine but at the same time, some cautioned that the rise of anti-Islamic sentiment in Europe risked strengthening support for jihadists across the continent. Imagine someone attacking Judaism and those who follow it? It is estimated that there are 14 million Jews worldwide, which is a pittance when compared with Christians (2.2 billion) and the followers of Islam (1.6 billion). Comment boards would light up immediately at the Wall Street Journal and other major Web sites, with every slur imaginable being thrown at the commenters, starting with “anti-Semitic” as a means of silencing them. Such comments would be deleted instantly, at the behest of those who cannot tolerate freedom of speech. The commenters would be ridiculed, yet when Christianity and Islam are attacked, this seems to be all right, with a gross double-standard being applied. How does the tragic killing of 12 people in Paris compare with the estimated killing of 2,200 people in Gaza by Israel last year alone? In the final analysis, religious beliefs (or the lack thereof) are very personal, and not worthy of anyone’s attacks . . . as long as they do not physically hurt someone else. Before Sunday night’s game against the Detroit Pistons at Staples Center, the Los Angeles Lakers presented personalized Lakers jerseys to the three Americans who thwarted a terrorist attack on a train in France in August. A 61-Yard Winner: The Miracle in Motown! Green Bay Packers’ quarterback Aaron Rodgers hits Richard Rodgers with a 61-yard touchdown pass to end the game in Detroit. All “Worlds Greatest Dad” mugs should have his picture on them. Amen to that one, in spades. The lesson learned: Have faith and never give up! Has America Lost Its Faith? The United States formally separates Church and State, but it’s hard to deny that America is inundated with religious innuendo, from its controversial pledge of allegiance all the way down to its Judeo-Christian courthouse displays and faith-espousing legal tender. Yet fewer Americans pray or believe in God than ever before, according to a new study in the journal Sage Open. Researchers found that the percentage of Americans who claim they never pray reached an all-time high in 2014, up five-fold since the 1980s. Over the same time period, belief in God and interest in spirituality appears to have similarly declined, especially among young adults. The notion that the U.S. is inching away from organized religion is nothing new. Throughout the 2000s, studies repeatedly found that many Americans had lost faith in religious institutions. But scientists suspected the shift was from organized religion, rather than spirituality—that Americans had stopped attending formal services, but that they still prayed and believed in private. And it made sense. The Catholic Church’s highly publicized sexual abuse scandals had shaken America’s faith in religious leadership right around the same time that our faith in non-religious institutions was beginning to wane. One 2014 study found that Americans had grown skeptical of Church power in much the same way that they had grown suspicious of all major institutions, including the media, the medical establishment and Congress. But this new study suggests that Americans have a problem with God—and that our spiritual issues run deeper than paltry mistrust of religious institutions. For the study, researchers pulled 58,893 entries from the GSS, a nationally representative survey of U.S. adults. 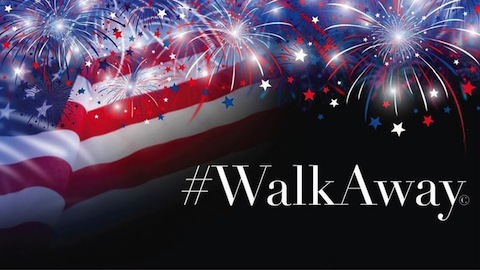 The results suggest a steep decline in the number of Americans who pray, believe in God, take the Bible literally, attend religious services or identified as religious—all factors that should have relatively little to do with America’s skepticism of large institutions. As of 2014, nearly one third of thirty-somethings who matured in the 2000s said they were “secular” and one fifth reported that they were not even “spiritual”, suggesting a decline not only in religious affiliated but also in the core beliefs of Generation Y. “Decline in religious affiliation and participation has now extended to private practices and beliefs,” the authors write. The next generation, often referred to as iGen, is even more secular. By 2014, the number of 18 to 22-year-olds who reported no religious affiliation rose from 11 percent in the 1970s to 36 percent; the percentage who said they never pray rose from 4 percent to 28 percent. Belief in God and attendance at religious service[s] declined by half while self-reported spirituality declined five-fold. “This suggests that iGen will continue the decrease in religious orientation rather than reversing it, even in spirituality,” the authors write. As terrorism spreads globally, and as the global economy sours beyond anything that we have known, and as chaos spreads, the trends described above may end. More and more people may need to cling to something, and that may be a “higher power” or God. 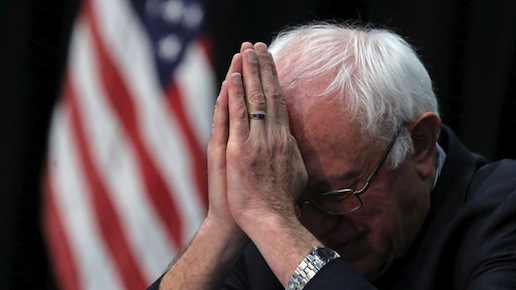 [Note: The photo above is of Bernie Sanders praying. He is a presidential aspirant, and a U.S. Senator from the State of Vermont. He is Jewish. His father was born in Poland; and he immigrated to the United States at the age of 17 in 1921. His mother was born in New York City to Jewish immigrant parents from Poland and Russia. Many of his father’s relatives who remained in Poland were killed in the Nazi Holocaust. Excellent portrayal of what we have come to, certainly in the US. Sad, but I notice it every day. These secular conservatives may think that “America can survive the death of God and religion,” writes Prager, but they are wrong. And, indeed, the last half-century seems to bear him out. I disagree too with the notion that Russia’s Putin has any respect for or belief in God or Christianity. He is a brutal killer and an opportunist, similar to Hitler, Stalin and Mussolini. By the same token, Israel may not survive because its leaders such as Netanyahu have morphed into their ancestors’ Nazi oppressors. Buchanan may be mistaken too that Christianity is dying in America; and that God only works through Christians. [A]s the global economy sours beyond anything that we have known, and as chaos spreads, . . . [m]ore and more people may need to cling to something, and that may be a “higher power” or God. 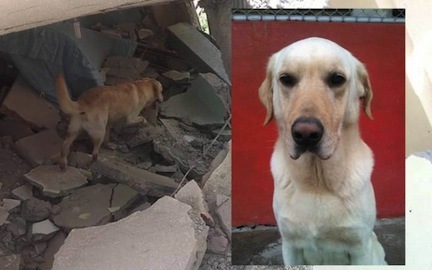 A four-year-old white Labrador called Dayko has been hailed as a hero after rescuing seven people from the aftermath of the Ecuador earthquake – before dying from exhaustion. Dayko, a rescue dog for the Ibara fire service, died last Friday, having spent the previous days searching for survivors in the rubble left by the 7.8-magnitude earthquake which hit Ecuador last week. According to a post on Ibara fire service’s Facebook page the cause of death was “massive coronary myocardial infarction and acute respiratory failure.” He had been working as a rescue dog for three and a half years. “We regret to inform you that today the [fire service] is in mourning because [we] just lost Dayko who participated in the work of searching in Pedernales,” said the fire service. “This four legged friend gave his life in the line of duty. Thank you Dayko for your heroic efforts in Pedernales and in various emergencies where you were present. 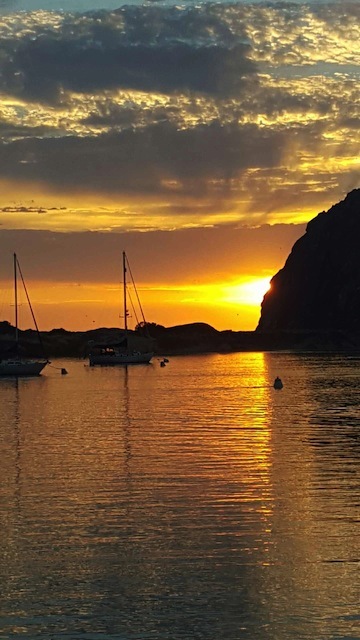 More than 2,000 people were injured in the quake on April 16, which ripped apart buildings and roads and knocked out power along the Pacific coastline. At least 654 people have been killed. Around 500 specialists from Bolivia, Chile, Colombia, Cuba, Peru, Spain, Switzerland, the US, and Venezuela have been assisting local fire brigades and special forces. Supplies have been arriving by air from less-affected parts of Ecuador and survivors flown for treatment to Quito, the capital, and Guayaquil, the biggest city. May God bless Dayko and others who perished, as well as the survivors and their life-savers. News about a mom bringing her dead newborn back to life with a tender embrace took the internet by storm in 2010 and the photos of the child being cradled by his mom went viral. Couple Kate and David Ogg refused to give up after the doctor informed them about the death of their son. Kate gave birth to twins but while 27-weeks-old Emily was healthy, her twin Jamie stopped breathing and his heart stopped beating. After being told their son had passed, the heartbroken mother hugged her baby close to say goodbye but after minutes of skin-to-skin contact and Kate’s embrace[,] miraculously  Jamie started showing signs of life. Although the doctors gave up, Kate’s embrace miraculously brought Jamie back to life as he started moving after five minutes of cuddling. Reports reveal that the baby gasped, opened his eyes, started breathing and grabbed his father’s finger. “Kangaroo mother care” or “Kangaroo Care” is defined as the care of preterm infants carried skin-to-skin with the mother. Babies are exposed to early, continuous and prolonged skin-to-skin contact with the mother which also ideally include exclusive breastfeeding, according to the World Health Organization. UNICEF advi[ses] mothers to hold their newborn child close to their chest to help them adapt to the new environment and cope with the stressful birth process. With this, the child’s heartbeat and breathing will be better controlled. Newborn babies should spend their first two hours of life with the mother while breastfeeding and having skin-to-skin contact. Interruptions during said mother-baby interaction are strongly discouraged for this might reduce the chances of initiating early breastfeeding. Baby Center also added that Kangaroo Care helps to maintain the baby’s body warmth, gain weight, regulate heart and breathing rates, spend more time in deep sleep, spend more time being quiet and alert and will spend less time crying. The skin-on-skin interaction can also help the mother to improve breast milk production. A mother will also be ensured that she is providing intimate care for her baby. [T]he project got its start with the adaptation by Todd Komarnicki (“Perfect Stranger”) of Sullenberger’s memoir “Highest Duty: My Search for What Really Matters,” co-authored with Jeffrey Zaslow. Eastwood initially was said to be unsure about what he could bring to the project, until he read about the aftermath of the incident, and the second-guessing of Sullenberger’s actions. 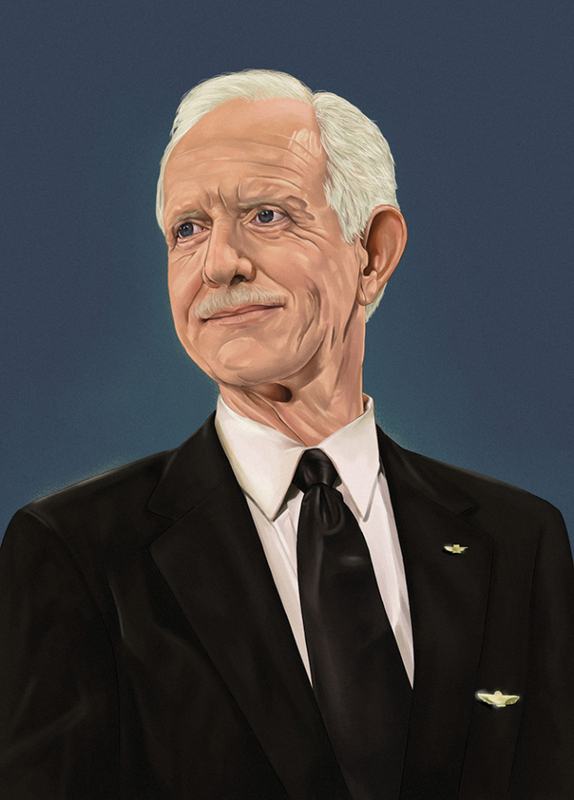 Sully is an authentic hero, whom God has blessed—as he has blessed others, whose lives he saved. Hayley Lampshire, 27, from Kidlington, Oxfordshire, discovered her twins were suffering from a rare condition meaning they shared one amniotic sac, instead of having one each. That mean[t] that if the babies moved around in the womb doctors warned their umbilical cords could become tangled, starving them, or even strangling each other. The only way they would survive the pregnancy was if they both stayed still. 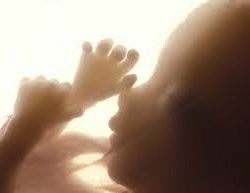 But she was amazed when she went for a scan – and saw her two boys cuddling each other – and even appeared to be holding hands. At every scan, Hayley was amazed to see her twins holding on to each other. And when they were born by caesarian section on August 25, Rowan and Blake both weighed four pounds – and haven’t stopped cuddling each other ever since. Hayley, a primary school teacher, said: ‘My husband, Charlie, and I were heartbroken when we found out our babies were in danger. 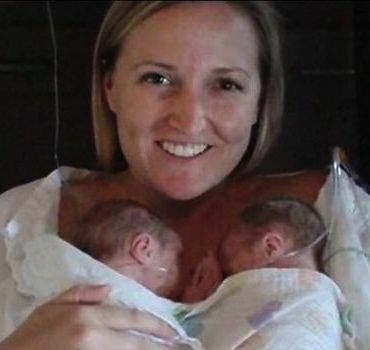 ‘Because the boys were in the same amniotic sac their cords could get tangled if they moved around, which would cut off their oxygen and food supply. ‘If that did happen then it would be likely that we wouldn’t know, we couldn’t do anything to prevent it which was the scariest part. ‘They needed to keep still in order to keep one another alive and in some pictures they even look like they’re cuddling. ‘We were relieved when the boys were finally delivered by C-section and they are now both doing really well. ‘Charlie and I were terrified at first, but we want to share our story to reassure others that there is hope, something that we struggled to find when doing our own research. Hayley and Charlie married in 2015 and were thrilled to find out Hayley was pregnant a few months later. She added: ‘At our 12 week scan we found out that we were having twins, which left us completely in shock as we had no idea how we were going to cope with two babies. ‘But at that same scan we were told our pregnancy was going to be high risk and a week later we were sent to a specialist who confirmed I was carrying Monoamniotic-Monochorionic twins. In most pregnancies the risk factor decreases after 12 weeks, however Hayley’s risk of losing her babies increased as they grew bigger. ‘As the babies got bigger there was more of a chance of their cords becoming tangled. ‘The percentage of Mo-Mo twins surviving has now increased a little thanks to amazing medical advances, but of course this didn’t stop us worrying. ‘I was booked in for a C-section at 34 weeks as the doctors didn’t want to risk them getting any bigger, I was huge at this point. ‘The boys were born 36 seconds apart, Rowan weighed 2.12kg and Blake weighed 2.05kg, and were taken straight to special care. ‘They had fluid on their lungs and were struggling to breathe on their own. ‘I was discharged three days later, but the boys had to stay in the hospital for three weeks before we could finally bring them home and leaving them there was the hardest part. ‘But the boys are now doing really well and are growing so fast, and Charlie and I know how lucky we are to have them both here. A miracle, and God’s Grace! One cannot imagine a more wrenching moral dilemma than the case of little Charlie Gard. He is a beautiful 11-month-old boy with an incurable genetic disease. It depletes his cells’ energy-producing structures (the mitochondria), thereby progressively ravaging his organs. He cannot hear, he cannot see, he can barely open his eyes. He cannot swallow, he cannot move, he cannot breathe on his own. He suffers from severe epilepsy, and his brain is seriously damaged. Doctors aren’t even sure whether he can feel pain. For months he’s been at the Great Ormond Street Hospital in London. His doctors have recommended removing him from life support. The courts have denied the parents’ petition. They concluded that the proposed treatment had no chance of saving the child and would do nothing but inflict upon him further suffering. They did, however, allow the American specialist to come to London to examine Charlie. He is giving his findings to the court. A final ruling is expected on July 25. The Telegraph of London reports that Charlie’s doctors remain unconvinced by the American researcher. Indeed, the weight of the evidence appears to support the doctors and the courts. Charlie’s genetic variant is different and far more devastating than the ones in which nucleoside bypass therapy has shown some improvement. There aren’t even animal models for treating Charlie’s condition. It’s extremely unlikely that treatment can even reach Charlie’s brain cells, let alone reverse the existing damage. The parents have garnered support from thousands of petitioners and from such disparate luminaries as the pope and the president of the United States, both of whom have offered to bring Charlie to their facilities. The most heart-rending situation occurs when these two questions yield opposing answers. Charlie’s is such a case. I believe that in this case the parents are wrong, and the doctors and judges are right. Charlie’s suffering is literally unimaginable and we are simply prolonging it. This is a life of no light, no sound, no motion, only moments of physical suffering (seizures? intubation?) to punctuate the darkness. His doctors understandably believe that allowing a natural death is the most merciful thing they can do for Charlie. As for miracle cures, I share the court’s skepticism. They always arise in such cases, and invariably prove to be cruel deceptions. The sovereignty of loved ones must be the overriding principle that guides all such decisions. We have no other way. The irreducible truth is that these conundrums have no definitive answer. We thus necessarily fall back on family, or to put it more sentimentally, on love. But there’s a reason why, despite these exceptions, all societies grant parents sovereignty over their children until they reach maturity. Parents are simply more likely than anyone else to act in the best interest of the child. Not always, of course. Loved ones don’t always act for the purest of motives. Heirs, for example, may not the best guide as to when to pull the plug on an elderly relative with a modest fortune. But then again, states can have ulterior motives, too. In countries where taxpayers bear the burden of expensive treatments, the state has an inherent incentive (of which Britain’s National Health Service has produced notorious cases) to deny treatment for reasons of economy rather than mercy. Nonetheless, as a general rule, we trust in the impartiality of the courts — and the loving imperative of the parent. It’s a father and a mother and their desperate love for a child. They must prevail. Let them go. Judges are the very worst of the legal profession, at least in the United States, and they should not be making such decisions. The idea that potentially-life-saving treatment has been delayed is criminal; and those who are responsible should pay dearly. Ultimately, Charlie and his parents, and all of us, must fall back on God. This is the great lesson of Life. And yes, miracles do happen. Eleven-month-old Charlie Gard, whose short life captured the hearts of the world, has died a week before his first birthday. Charlie suffered from a rare genetic condition which saw him in hospital for the majority of his short life. His parents, Connie Yates and Chris Gard, fought a lengthy and emotional legal battle to take their severely ill baby son to the US for treatment, but were denied by judges. Yesterday courts denied his parents the chance to bring their son home to die and he was taken from Great Ormond Street to a hospice. Charlie’s plight has seen hundreds of supporters – called Charlie’s Army – lending their voices and money to see the child given treatment, with £1.35 million raised on an online fund-raising site. Pope Francis and US president Donald Trump weighed into the debate, with the Vatican saying the pontiff prayed for ‘their wish to accompany and treat their child until the end is not neglected’. The protracted legal battle saw the couple take their case to the High Court, Court of Appeal and Supreme Court – all of which ruled life support treatment should end and Charlie should be allowed to die with dignity. Judges at the European Court of Human Rights refused to intervene in the case – and the couple said they had been denied their final wish to be able to take their son home to die and felt ‘let down’ following the lengthy legal battle. The couple, of Bedfont, west London, ended their legal battle on July 24, in what they called the ‘most painful of decisions’ and their son was moved to a hospice on July 27. Mr Gard gave an emotional speech on the steps of the High Court when he said: ‘Mummy and Daddy love you so much Charlie, we always have and we always will and we are so sorry that we couldn’t save you. Described as ‘perfectly healthy’ when he was born, Charlie was admitted to hospital at eight weeks and his condition has progressively deteriorated. At the time Charlie’s parents said they believed their son might have been saved if experimental therapy had been tried sooner. Doctors at GOSH did not agree, with lawyers representing the hospital saying the ‘clinical picture’ six months ago had shown irreversible damage to Charlie’s brain. They said the ‘unstoppable effects’ of Charlie’s rare illness had become plainer as weeks passed. The couple said they wanted to take their son across the Atlantic for nucleoside bypass therapy, but specialists at Great Ormond Street Hospital in London, said the treatment was experimental and would not help. The couple paid tribute to their ‘absolute warrior’ less than a fortnight before his first birthday on the steps of the High Court, with father Chris saying: ‘Mummy and Daddy love you so much Charlie, we always have and we always will and we are so sorry that we couldn’t save you. Charlie’s parents added they believed their son might have been saved if experimental therapy had been tried sooner. Doctors at Great Ormond Street did not agree, with lawyers representing the hospital saying the ‘clinical picture’ six months ago had shown irreversible damage to Charlie’s brain. Connie and Chris had asked for up to a week with their son before letting him ‘slip away’ before his first birthday next Friday. Great Ormond Street Hospital (GOSH) said last night ‘we have tried absolutely everything’ to accommodate the parents’ but will not risk an ‘unplanned and chaotic end to Charlie’s life’. His mother Connie has hit back and insisted doctors ‘denied us our final wish’. She said: ‘We just want some peace with our son, no hospital, no lawyers, no courts, no media – just quality time with Charlie away from everything to say goodbye to him in the most loving way. ‘Most people won’t ever have to go through what we have been through, we’ve had no control over our son’s life and no control over our son’s death. On Wednesday Mr Justice Francis sided with his doctors and said Charlie would be taken to the hospice in a secret location where doctors will stop life-support treatment shortly after he arrives because they say extending his life will only cause him more pain. The irrevocable court ruling came as home videos emerged showing Charlie as a newborn – weeks before his illness was diagnosed. The tiny baby is seen grasping at a two-week birthday card on a changing mat at his parents’ flat in west London, last August. Charlie’s move to the hospice was kept secret until today. GOSH has said it had ‘tried absolutely everything’ to accommodate the couple’s wishes, but ‘the risk of an unplanned and chaotic end to Charlie’s life is an unthinkable outcome for all concerned and would rob his parents of precious last moments with him’. Mr Justice Francis drew five months of litigation to a close by making the order, which saw Charlie leave the London hospital where he has been cared for since late 2016, and move to a hospice. The hospital statement added: ‘We deeply regret that profound and heartfelt differences between Charlie’s doctors and his parents have had to be played out in court over such a protracted period. The statement said it had been a ‘distressing process for all concerned’, adding that nobody could fault Charlie’s parents for tirelessly advocating ‘for what they sincerely believed was right for their son’. The judge did not reveal when Charlie will move and has said the hospice cannot be identified in media reports. The syndrome is an inherited disease which starts to show symptoms in infancy. Most patients are born after a normal pregnancy and appear healthy at birth. Symptoms usually begin to appear in the first few months of life. It causes progressive muscle weakness, decreased muscle tone and kidney problems. It also causes patients to lose motor skills such as standing, walking, eating and talking. Eventually the muscles that control breathing become weak and respiratory failure is the most common cause of death. Intelligence is not usually affected. Children with severe forms of the condition usually survive for less than a year. It is not yet fully understood what causes the condition but both parents of the child have to carry the gene mutation. It is recessive meaning a child has a 25 per cent chance of suffering from the disease if both their parents carry the mutation. Yesterday Charlie’s parents were refused their request to take their son home to die and the 11-month-old was taken to a hospice in a secret location. Great Ormond Street said hospital doctors ‘deeply regretted’ the way the case played out in court. A spokesman for the hospital said medics there ‘get up every morning to care for sick children, not to cause further anguish to devoted parents like Chris and Connie’. The statement comes as Charlie’s parents were told it would not be impossible for them to take their son home to die. A Great Ormond Street Hospital spokesman said: ‘We deeply regret that profound and heartfelt differences between Charlie’s doctors and his parents have had to be played out in court over such a protracted period. ‘It has been a uniquely painful and distressing process for all concerned. ‘Charlie’s parents have tirelessly advocated for what they sincerely believed was right for their son, and nobody could fault them for doing so. ‘All of us at Great Ormond Street Hospital get up every morning to care for sick children, not to cause further anguish to devoted parents like Chris and Connie. ‘We have tried absolutely everything to accommodate their final wishes and engaged not only with those who volunteered to treat Charlie but experts from across the health service in close consultation with the NHS to make this happen. ‘This included exploring the unprecedented step of delivering intensive life support away from a hospital intensive care unit. ‘Sadly, as the judge has now ruled, there is simply no way that Charlie, a patient with such severe and complex needs, can spend any significant time outside of an intensive care environment safely. ‘The risk of an unplanned and chaotic end to Charlie’s life is an unthinkable outcome for all concerned and would rob his parents of precious last moments with him. ‘As the judge has now ruled, we will arrange for Charlie to be transferred to a specialist children’s hospice, whose remarkable and compassionate staff will support his family at this impossible time. ‘This is a very special place who will do all they can to make these last moments as comfortable and peaceful as possible for Charlie and his loved-ones. ‘Great Ormond Street Hospital would like to reassure everyone who has followed this heart-breaking story that we always puts the best interests of every single one of our patients above all else. ‘While we always respect parents’ views, we will never do anything that could cause our patients unnecessary and prolonged suffering. ‘The priority of our medical staff has always been Charlie. ‘Our doctors and nurses have worked tirelessly and done their utmost for him in the months he has been in our care. ‘Every single one of us wishes there could have been a less tragic outcome. ‘Our thoughts and deepest sympathies go out to Chris and Connie, and we hope that their privacy is respected at this devastating time for their family. The plight of terminally-ill Charlie Gard drew international sympathy and saw interventions from the Pope and US president Donald Trump. After a five-month legal battle, Charlie’s parents, Chris Gard and Connie Yates, ended their legal fight over treatment for their baby son and he was taken to a hospice. They announced his death on Friday, July 28. • August 4 2016 – Charlie Gard is born a ”perfectly healthy” baby at full term and at a ”healthy weight”. • September 2016 – Charlie’s parents notice that he is less able to lift his head and support himself than other babies of a similar age. Doctors discover that he has a rare inherited disease – infantile onset encephalomyopathy mitochondrial DNA depletion syndrome (MDDS). • October 2016 – Charlie has become lethargic and his breathing is shallow and he is transferred to the Great Ormond Street Hospital for Children in London on October 11. • December 2016 – Charlie spends his first Christmas in hospital with his parents putting a festive bib on the youngster and sharing a picture captioned ”our little elf”. • January 2017 – A crowd-funding page is set up to help finance trial therapy in the United States. • March 3 2017 – Great Ormond Street bosses ask Mr Justice Francis to rule that life-support treatment should stop. • April 11 – Mr Justice Francis says doctors can stop providing life-support treatment after analysing the case at a hearing in the Family Division of the High Court in London. • May 3 – Charlie’s parents ask Court of Appeal judges to consider the case. • May 23 – Three Court of Appeal judges analyse the case and dismiss the couple’s appeal two days later. • June 8 – Charlie’s parents lose fight in the Supreme Court – his mother screams as justices announce their decision. • June 20 – Judges in the European Court of Human Rights start to analyse the case after lawyers representing Charlie’s parents make written submissions. • June 27 – European court judges refuse to intervene. A Great Ormond Street spokeswoman says the European Court decision marks ”the end” of a ”difficult process”. She says there will be ”no rush” to change Charlie’s care and says there will be ”careful planning and discussion”. • June 29 – Charlie’s parents say his life-support will be switched off on Friday June 30. • June 30 – They say GOSH has agreed to ”give us a little bit more time” with Charlie. They ask for privacy ”while we prepare to say the final goodbye”. • July 2 – Pope Francis calls for the couple to be allowed to ”accompany and treat their child until the end”, saying he has followed the case with ”affection and sadness”. • July 4 – Bambino Gesu, the Vatican’s children’s hospital in Rome, offers to take Charlie in. • July 10 – Charlie’s parents return to the High Court and ask Mr Justice Francis to carry out a fresh analysis of the case. Mr Justice Francis says he will consider any new evidence. • July 17 – Michio Hirano, the New York neurology professor who offered to treat Charlie, travels to London to examine the little boy, discuss the case with Great Ormond Street doctors and other clinicians and examine fresh scans. • July 21 – Lawyer representing Great Ormond Street says a new scan makes for ”sad reading”. • July 22 – Great Ormond Street chairwoman Mary MacLeod says doctors and nurses have been subjected to abuse in the street and received thousands of threatening messages in recent weeks. • July 25 – Lawyers representing Charlie’s parents and Great Ormond Street Hospital are back in court for a hearing at which the parents’ wish to take their son home to die was discussed. • July 26 – Charlie’s parents decide he should spend his final days in a hospice but remain in dispute with Great Ormond Street Hospital over the length of time he should stay there. Mr Justice Francis says if the parties cannot agree before noon the next day, Charlie would be moved to a hospice and life-support treatment would end soon after. • July 27 – An order issued by court officials and drawn up by Mr Justice Francis sets out arrangements for Charlie’s final hours. The plan will see him move to a hospice, where life-support treatment will be withdrawn soon after. Charlie Gard was born a ‘perfectly healthy’ baby on August 4 last year. His loving parents Chris Gard, 32, and Connie Yates, 31, took him home in Bedfont, west London, to celebrate the birth of their first child. But what happened next captured the hearts of people across the world as the brave couple initiated a tense and lengthy legal battle regarding their son’s life. At just one month old, Charlie’s parents noticed he struggled to lift his head and support himself like other children his age. 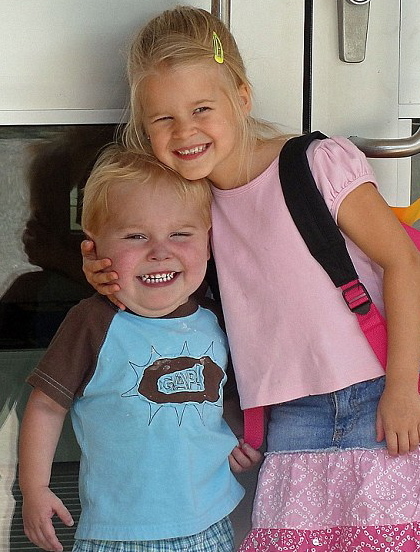 Just a few weeks later, their son was diagnosed with a rare genetic condition when he began to lose weight. He became just the 16th person in the world to be diagnosed with mitochondrial DNA depletion syndrome, which causes progressive muscle weakness and brain damage. Charlie was transferred to the Great Ormond Street Hospital in London and his parents launched a desperate bid to save their son’s life. Doctors there said they wanted the boy, who was then 10 months old, to be able to ‘die with dignity’ and his mother quickly found an American doctor who was willing to offer her son a trial therapy. Mr Gard and Ms Yates began a crowd funding campaign to help finance the US treatment in January, however, the hospital – where he was staying – suggested that experimental treatment in the US would not work. They advised switching off his life support but Charlie’s parents started a long and tense legal process which went on for the best part of two months. But it ended on June 27 when judges in the European Court of Human Rights refused to overturn a ruling to switch Charlie’s life support off. This was Mr Gard and Ms Yates’ final appeal and they were said to be ‘utterly distraught’ when the verdict was announced in Strasbourg, France. The decision came after Charlie’s parents made a number of emotional appeals urging the public to help them fight for their son’s life. While he was being treated in hospital, they raised a staggering £1.4million thanks to the help of those who were known as the so-called ‘Charlie’s Army’. The money they raised – which was thanks to donations from around the world – was enough for Charlie to travel by air ambulance and to cover the cost of the experimental treatment. The legal process began on April 3 when a judge in London’s High Court started to consider whether Charlie’s life support machines should be turned off and whether he should be allowed to go the US for treatment. On April 11, the judge ruled that doctors were permitted to switch the machines off, to which Charlie’s heartbroken mother screamed ‘no’ when the verdict was announced. Despite a petition calling on the Prime Minister to release the boy from hospital being signed by 110,000 people three judges at the Court of Appeal upheld the High Court’s ruling on May 25. And in a last-ditch attempt to overturn the ruling in the UK, they took the case to the Supreme Court. Judges in the ECHR agreed Charlie’s life support should be kept on until Monday, June 19 so they could consider the case. But on June 27, they rejected a plea to intervene in the case. His parents had to deal with fresh heartbreak when they were told their son’s life support machine would be switched off imminently. However, they won more time so they could say goodbye to their dying son so they could ‘create precious memories’. The “miracle” in the case of little Charlie is that he has returned to God, and the world is a better place because he came here. Help arrived Wednesday morning in the form of the USS Ashland, a 610-foot-long amphibious docking landing ship, the Navy said. The battered boat was determined to be “unseaworthy,” and the couple and their dogs were brought aboard the Ashland. Appel said they survived because they had water purifiers and more than a year’s worth of food — primarily oatmeal, pasta and rice. Cmdr. Steven Wasson, Ashland commanding officer, shrugged off his ship’s efforts. 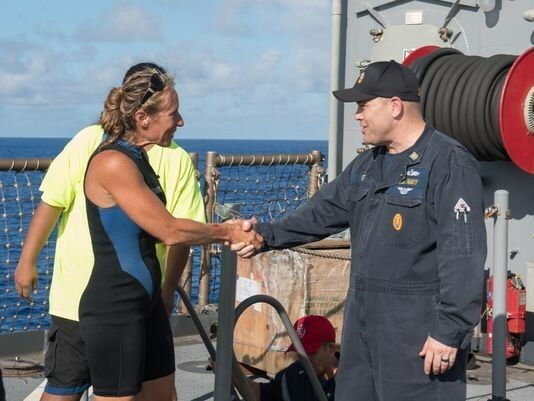 “The U.S. Navy is postured to assist any distressed mariner of any nationality during any type of situation,” Wasson said. Their prayers were answered..remember, there are no athiests in a lifeboat. Mourners across the globe have wept for little Alfie Evans today after news of his death devastated millions. The toddler died at 2.30am today in his ward at Alder Hey Children’s Hospital in Liverpool where he had been in intensive care for over a year. Catholic communities around the world have been touched by Alfie’s health battle after the Pope intervened. As devastated members of ‘Alfie’s Army’ gathered outside the Merseyside hospital to release thousands of balloons, a similar event took place in Dublin. Purple and blue filled the sky of the Irish capital in a nod to his supporters’ chosen colours. In Kielce, south central Poland, football fans kept their ‘#SaveAlfieEvans’ banner attached to the stands as fans paid an emotional tribute to him. Alfie’s father Thomas Evans thanked the Polish community for their support after a candelit vigil was held outside the British Embassy in Krakow earlier this week. As the toddler’s team Everton played Huddersfield Town away this afternoon, fans from both sides stood and applauded at the 23rd minute – after his death at 23-months-old. Twitter tributes flooded in from around the world on Saturday after the youngster’s battle with his degenerative neurological disease made headlines internationally. Alfie had been in a coma for over a year and needed a ventilator to keep him breathing but his parents have fought to stop his life support being switched off. Mr Evans had met the Pope last week to ask for asylum, kissing the pontiff’s hand and begging him to ‘save our son’. The head of the Bambino Gesu Pediatric Hospital, which is administered by the Vatican, also travelled to Liverpool in a bid to have the boy transferred, saying Pope Francis asked her to do everything ‘possible and impossible’ to save him. 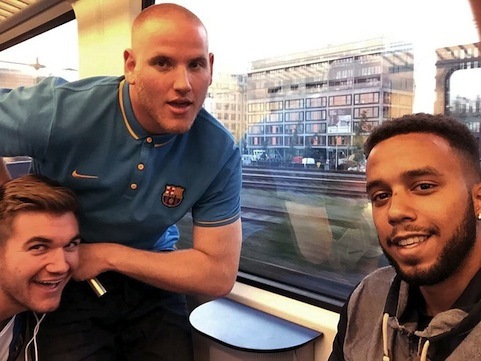 Their case went before the European Court of Human Rights (ECHR) after it was rejected by the UK’s Supreme Court, but judges in Strasbourg also refused to intervene, saying the application was ‘inadmissible’. Dozens had ran towards the main doors before police officers stationed inside and out strung across the entrance blocking the way, and after after a short stand off the crowd retreated to gather around 100 yards away on the road outside. A South African woman was mistakenly brought to the morgue and stored in a fridge after she was declared dead following a car accident. 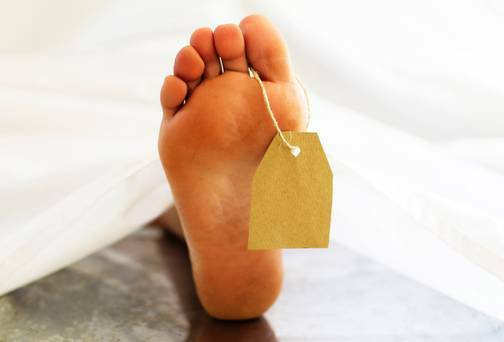 The unnamed woman was discovered breathing by a morgue worker who was reportedly writing a report and checking on the body, according to TimesLive, a South African news site. The Distress Alert paramedics who brought her in said that she had shown “no form of life.” She is currently being treated at a hospital. Two other people involved in the June 24 crash were dead, according to Bradnick. This is the third time in recent years that an assumed deceased person was later found to be alive in South Africa, the BBC reported. In 2016, another person involved in an accident was declared dead but found breathing the next day. About seven years ago, a 50-year-old man woke up screaming in a morgue in Eastern Cape. The local forensics team, Gauteng Forensic Pathology Service, is investigating the incorrect declaration made by Distress Alert. More than 160 passengers and crew on a commercial flight escaped with seconds to spare after the aircraft skidded off a runway, crashed into a river and burst into flames. Rescue crews managed to evacuate passengers and the cabin crew from the Boeing 737 plane, where people were forced to jump down onto the wings of the plane and ‘throw’ their children down to safety. All 170 passengers and crew managed to escape from the wreckage in Russia’s Black Sea resort of Sochi. One airport employee helping with the rescue mission died from a heart attack at the scene. It took the aircraft two attempts to land, with strong wind and rain likely to be behind the first failed attempt. The crew managed to land the plane but it overshot the runway, crashed through a fence, plummeted into the riverbed and caused the left engine to catch alight, an Utair spokesman told RIA Novosti. Russian authorities confirmed 18 people were injured during the evacuation of 164 passengers and six crew from the burning Utair plane. At least four people on board the plane were hospitalised with burns, and another suffered a broken spine. Passengers said the emergency inflatable chutes which extend from the plane to the ground did not inflate immediately during their evacuation, forcing some to jump from the burning wreckage. Distressing videos shows the plane erupt in flames – but there was time for some of the passengers and crew to escape using the emergency chutes. Both wings broke and there was damage to the undercarriage. Reports on state news agency TASS suggested one wing clipped the ground as the plane landed in bad weather. The plane aborted several failed landing attempts before the pilot told them  they would touchdown, said rescued passengers. ‘The plane attempted to land several times, unsuccessfully, and finally the pilot said we were landing,’ said a couple on board the stricken Boeing. ‘This wasn’t a success either. We landed, everyone started clapping – and immediately the left side of the plane caught fire,’ said one. A male passenger said: ‘Everything happened very quick. ‘The emergency exits were open, but there were no chutes[;] people were jumping onto both wings to escape. An emergency source told TASS that at 2.59am local time (12.59am UK time) the plane ‘hit the ground with one of its wings, skidded off the runway and caught fire’. The fire was reported to have been extinguished by 3.20am. The plane on a two hour flight from Moscow spun off the runway while landing in ‘atrocious’ conditions, according to reports. ‘The Boeing 737 from Moscow rolled off the runway during landing at Sochi airport and caught fire. According to the preliminary data, six people were injured,’ an emergency official said. ‘There were 164 passengers and six crew on board. Sochi airport firefighters extinguished the flames and evacuated the people. There are no fatalities,’ said Utair, Russia’s fourth largest airline, based in Siberia. Utair said it was investigating the incident together with aviation authorities. A spokesperson for the Sochi airport said there were no delays, planes were taking off and landing as usual. Among the injured passengers were the following – all women: Lidia Kosheleva, born 1955, foot injury; Valentina Platonova, (1947), broken spine[;] Irina Kononova, (1967), ankle injury; Inna Shapkina, (1955), left foot injury; and Marina Panikhidina, (1961), broken ribs and chest injury. A criminal probe was opened into the crash landing. ‘A criminal investigation has been opened into the emergency landing . . . on suspicion of inadequate services with a risk to clients’ health,’ said the southern transport department of Russia’s Investigative Committee. More details were not given. Earlier today another Utair plane was forced to land on one engine in the Siberian city of Surgut. Lots of us began as Democrats, but will never vote for another one again. This is our prerogative as Americans. Others may feel just as strongly about being Democrats, Republicans, Independents, or non-aligned voters. Democrats are pushing to eliminate a reference to God from the oath witnesses take in front of the House Committee on Natural Resources, Fox News reported. The proposed change replaces the traditional phrase “so help you God” with the words “under penalty of law,” according to Fox News. The Daily Caller reports the committee is expected to vote on the changes soon. What’s next? Removal of God from our currency . . . and from our history? Again, it is a fair question to ask: Are Democrats Godless . . . Atheists, Agnostics, or Nihilists?